In honoring the legacy of Mary White, the uncrowned queen of bootleggers, Deluxe Distillery selected the finest grains and distilled them to perfection. The master-distiller added malted barley in precise proportions resulting in a stout character and a swarthy tang. 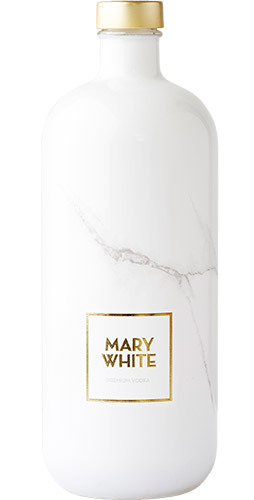 Drinking Mary White Vodka is experiencing a distinctive touch of grain in the nose, a fully developed tingly flavour on the palate, a smooth and silky texture on the tongue, not to mention an epic aftertaste. Sip Mary White Vodka neat, with your preferred mixer, or as an indispensable ingredient in your favourite cocktail.